Welcome to my website. 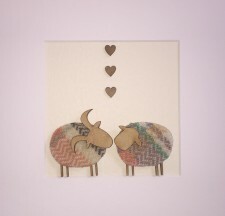 My name is Heidi and I run my business making all things woolly from my home (the fluffatorium), a stone’s throw from, the beautiful Three Cliffs Bay on the Gower Peninsular in Wales. My love of wool stems from childhood. My mother was constantly knitting something; my family were never without a hand-knitted creation, from jumpers and slippers to intricate baby shawls and matinee coats. I love colour, I love texture, I love making - I have the best job in the world. I have turned my hobby into my business and am so proud that much of my work is now available to buy in lots and lots of lovely shops around the UK.